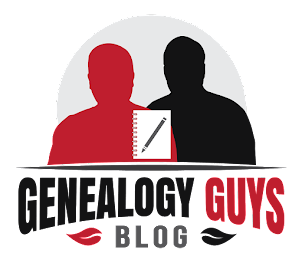 The Genealogy Guys Blog: MyHeritage DNA Black Friday Offer! As we head into the holiday season, I am excited to let you know about our amazing Black Friday offer. 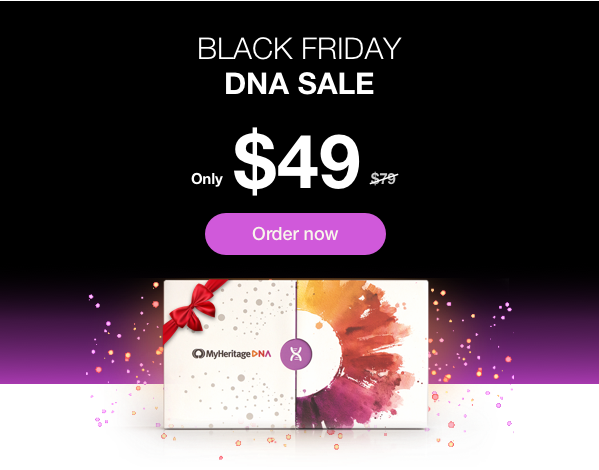 Enjoy the lowest price EVER on MyHeritage DNA — ONLY $49! This is the perfect opportunity to share this offer with your family and friends, who can discover their ethnic origins and find new relatives. Buy as many kits as you want for ONLY US $49 each! They make truly unique holiday gifts. USA: Enjoy free shipping on all orders with promo code: FREE18. Non-USA: Enjoy free shipping on orders of 2+ DNA kits. MyHeritage DNA kits make the perfect gift for everyone on your list. Hurry up and order now before the sale ends!